Since 2001 we have provided best service to US soldiers and their families. 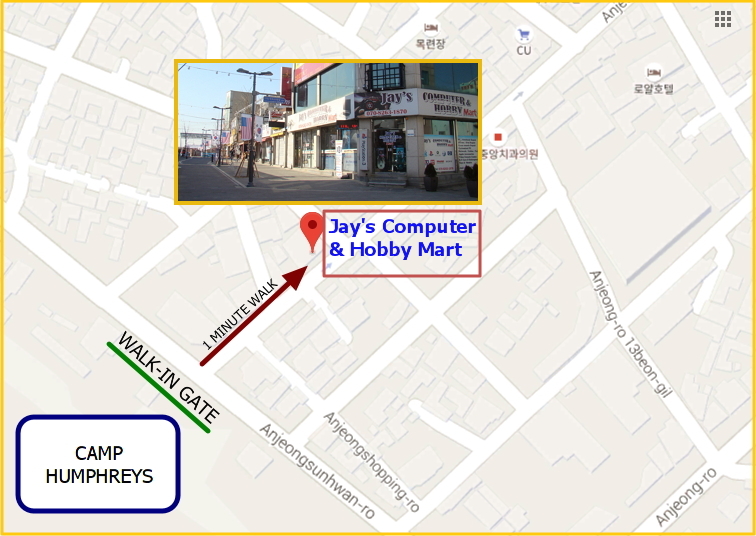 Our shop is located at Anjungri shopping mall which is in front of walk-in gate of USAG Humphreys. CompTIA A+ certified technicians are ready to help you out. Please stop by or call if you need any help.